First the saints were not perfect. Holiness always makes its home in humanity. The saints would be the first to admit this. Sanctity does not mean perfection. . . Second, you do not have to agree with everything a saint did to admire him (or her). This helps me. I always tended to think that if the Church canonized someone they were basically endorsing the entire life, with the exception of the sinful parts (of course). I always felt kind of bad when I would read about a saint and strongly disagree with the choices that he or she made. It is important to note and remember that the saints were human and not perfect. They were struggling just like each one of us, and we don't have to endorse their choices in order to trust in the Church's judgment that they were holy and now share in the glory of God's heaven. My children still have several years to go before we need to face the college question, but I know the time is going to pass quickly. Given the cost of college today, does everyone need to go? Is it worth the investment? What is the goal of a higher education? Can it be achieved outside of the traditional classroom? These are some good questions worth considering. This blog post: 11 Great Reasons to Skip College and Build Your Own Alternative offers some interesting insights on the subject. We are all called to be pilgrims, walking a path toward God no matter where we are. . . The reality is that a true pilgrimage does not even require a passport. True pilgrimage is as much an interior journey as a geographical one. Living with a pilgrim mindset, we can find places that will feed our hearts and spirits just about everywhere we turn - from the little shrine in the next town to the cathedral in our diocese to that historic church near our favorite vacation spot. Even the mundane events of daily life can become one more leg on a pilgrim journey that will last a lifetime. Making a pilgrimage is too important to our spiritual growth to save it for "some day." Instead, we have to look for ways to build pilgrimages into our lives the way they are now. 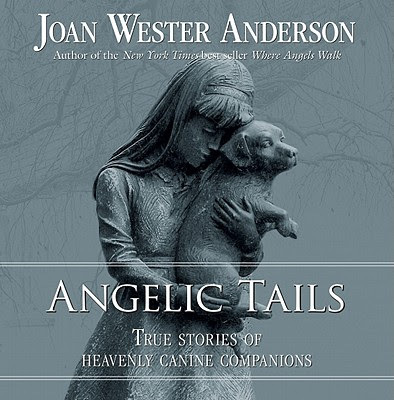 Joan Wester Anderson, who has written several best-selling books on angels and miracles, was inspired to write "Angelic Tails: True Stories of Heavenly Canine Companions" after reading the story of St. John Bosco and his guardian angel "Grigio" - a huge grey dog that protected him for 30 years and never aged. In her research for her other books, she had come across many stories of dogs acting in "angelic" ways, but she regarded them with a healthy skepticism. She states that she came to realize that "the journey on earth is difficult at times, so our loving Father has provided many helpers for us. Friends, special teachers, gentle companions, and more. Some may not fit the traditional mold. But a furry embrace and a cold nose work just as well." The stories in these pages truly bear witness to the idea that God uses dogs to help us. One dog alerted it's family to a fire that was about to start in an electrical outlet. Another appeared at a house and stood guard the very night that an escaped killer decided to camp out on their property. A lost toddler was saved because the family dog refused to leave her side. Still another guided a neighbor family safely home through a blizzard. This article by Brian Caulfield is geared more towards men, but perhaps you could share it with a special man in your life. May I recommend that we look for "Joseph moments" in our daily lives? After all, the chances are that we are quite often offered opportunities to exercise the "servant leadership" of St. Joseph. A good place to start is to become familiar with God’s word in Scripture so that we will become accustomed to the tone and tempo of his promptings in our own lives. Thus, reading the Bible – especially the Gospels – is Step One in recognizing the "Joseph moments" in our lives. 2. If you find your wife or family in any danger, take well-considered and effective action, just as Joseph took the Holy Family to Egypt. The dangers you face may not include a mad King Herod, but be aware of the workload your wife may face at home, the pressures of childcare, the financial burdens of your family and even something as seemingly small as gossip about your family among in-laws. Stand up and present yourself as a defender of your wife and children. 3. Be a leader of the spiritual welfare of your family. It is amazing how attuned and attentive Joseph was to God’s angels, who appeared to him on three occasions commanding three huge tasks. As a father, don’t leave the religion to your wife – your children will grow up thinking that faith is only feminine. Give them an example of faithful masculine leadership, which includes humility in the presence of God. 4. Be open to changing your personal plans for the sake of your family. Joseph may have imagined a normal marital and domestic life with his beloved bride. But he gave up all such dreams for love of God and love of Mary. At this moment, there is probably something you could do or say to show that kind of love for your wife and children. One of the great things about my role as Associate Editor with Catholic Exchange is finding great articles and posting them. There are so many talented Catholic writers out there. One I have been pleased to work with is Leila Miller. Her article up on Catholic Exchange today is Knowing God's Will and Catholic Freedom. I don't agree with it 100%, but it does offer a thoughtful perspective on something that is always a difficult issue. What does God want us to do? Is there always a "right" answer or does God sometimes give us two or three paths and simply wants us to pick one? As soon as I saw the title in the May 2011 issue of St. Anthony's Messenger, I knew Fitting Prayer into a Busy Life" was an article I had to read. Linda McCullough Moore tells of how, inspired by Brother Lawrence of the Resurrection (?1614 - 1691) who prayed eight times a day, she made the decision to make time for formal prayer four times a day for twenty minutes. I especially appreciate her closing sentence: Prayer is astonishing. It is the most outrageous and enlivening thing that we can do. Spring has come at last! It is time to plant and tend a garden. Mary Gardens, gardens dedicated to our Blessed Mother, have been gaining popularity in recent years. How does one create a Mary garden? Ox-Eye Daisy - Mary’s Star – This flower is associated with the Star of Bethlehem which led the Magi to the Christ child. Fleur-de-lis - Yellow flag iris – A symbol of the Annunciation, when the angel Gabriel came to Mary to ask her to be the mother of God’s son. Snowdrop - Candlemas Bells – These are said to have bloomed at Candlemas, when Mary brought Jesus to the temple for his presentation. The hardest one for me is #6. I've never set foot in a prison. I would be so scared - that is totally out of my comfort zone. I hope no one I know ends up in prison. Yet, there are many wonderful people who are called to serve in prisons and the least people like I can do is help support their efforts. Dismas Ministry is a Catholic Outreach to inmates, victims, their families, those released from prison and the community. This national Catholic outreach among inmates and those affected by crime is named after one of the people executed with Jesus on Calvary. In that final hour DISMAS took stock of his life and turned to Jesus for mercy: "Jesus, remember me when you enter your kingdom Luke 23:42." In the way that was typical of his ministry, Jesus turned to him and said:"This day you will be with me in paradise Luke 23:43." DISMAS MINISTRY focuses primarily on a spiritual approach with inmates who want to understand and strengthen their relationship with God. As one of them wrote, "Prisoners need God and the love of Jesus and Mary as much or even more than the population as a whole." Inmates who deepen their faith and grow in understanding of scripture will become less likely to offend others when they are released. For this reason, DISMAS provides bible and faith study materials, a prayer book for inmates, and free Catholic bibles. As Jesus taught us: "What you have received freely, give freely" Matthew 10:8. DISMAS MINISTRY also supports victims of crime - the walking wounded - by creating an awareness of their needs in the community. It does this in various ways: by providing literature about victims' needs and resources for their care, special prayer services for victims in which they can find support from the faith community and mutual encouragement from their fellow victims. Victims lead the way in showing us how to be there for them. The ultimate goal of DISMAS MINISTRY is to re-establish and strengthen the relationship of the Body of Christ with victims and those in prison. Despite where they are, inmates are still members of Christ's Body and should not be dismissed as worthless. As one inmate said, "We are not animals." Many will use their time behind bars to reassess their lives, and with God's help, make amends for the way that they have victimized others. As fellow Catholics, we can walk with them on the way to encountering God in his Word, doing whatever we can to support this spiritual transformation. When a crime is committed, it offends not only the immediate victim, but the rest of society as well. Supporting the work of faith-based rehabilitation provides those who feel powerless against crime with a practical way to do something about it. Such an approach goes to the very heart of the problem - the need for God in the lives of all who have been affected by crime. Many inmates have been abused when they were children. In turn, their victims have suffered abuse from them. In the end, the only true healing is spiritual. Only God can transform suffering into victory as He did for Jesus. * Pray for the incarcerated, the victims and loved ones, those who minister with them, and prison officials. * Learn about prison and victim issues in the media, at the library and on the internet (check out the links on our web site). * Read the bishops' statements on prison ministry. Reflect on the example of Jesus in the Gospels. * Become involved - visit or write local inmates; reach out to victims of crime in your community. * Support this ministry - your gift supports our work with inmates, victims, and the community. St. Luke addressed his Gospel and the Acts of the Apostles to an unknown man named Theophilos. Michael O'Brien has Theophilos as Luke's uncle, who raised him after his parents died. He considers Luke to be his son. A doctor, he is a logical man, a man of science who does not take well to his son's involvement in this new Christian religion. He wants solid evidence. As a result, he sets out on a journey to discover the truth and interviews many who had first-hand experiences with Christ. As one might expect, his journey will take him to uncharted territory. 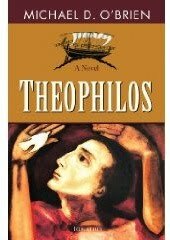 "Theophilos" is well-written and highly plausible. There is always some danger in taking Biblical figures and composing a fictional account of them. Yet, O'Brien has created a compelling account. It could have happened this way. The story keeps you moving through the pages. O'Brien did not write this novel merely to entertain, however. He also conveys many truths about the Christian faith in his work. Theophilos could be any one of us, facing our doubts, searching for the truth. Seekers will find good company in these pages. I was happy to read the May-June 2011 issue of Home Education Magazine this week. I really enjoy this magazine. It tends toward unschooling, but I still find the articles very motivational and it is interesting to read about what other homeschoolers do. They have just archived their back issues since 1997 on-line. Check it out at http://www.homeedmag.com/HEM/issueindex.html for a wealth of information. One interesting feature in this particular issue was they showcased an article from 1995 by Karen Mende-Fridkis who wrote about homeschooling her daughter and two sons, then they had an interview with that daughter today. Kate Fridkis is married, received her Master's degree from Columbia, writes for The Huffington Post and blogs at http://un-schooled.net/ She plans to homeschool her own children someday. I just thought it was great to see that juxtaposition of a worried Mom 16 years ago and the remarkable daughter so many years later. I know when I was deciding to homeschool (it was a lengthy decision process), I kept a list of pros and cons. I kept that list for two full years adjusting as necessary. What I wanted most was a glimpse into the future. Which decision was the right one? Which would help my children be the people God wanted them to be? I didn't want to ruin my children's lives. I was so scared. Let's face it, you pull your kids out of school, you have definitely stepped off the well-worn path. We are finishing up our third year of homeschooling and I've never regretted the decision (not one minute of one day), but I don't think I will breathe a true and total sigh of relief until my sons are grown up and fully contributing members of society. Here is a listing of Pro-Life OB/Gyns: AAPLOG Physician Directory It is a self-selecting list. The Doctors need to have asked to be members. I'm sure there are many other doctors out there who qualify but aren't listed. Still, it is a good place to start if you are looking for a Pro-Life Doctor. So, it’s fine to take a look around myself and think, “Could I be doing things differently? Is my spiritual life in a rut? Am I following my vocation, or just following the path of least resistance?” But once I’ve considered these questions honestly, I need to just get back to work. Of course I’m doing things differently from how other people are. Of course some worthy works are being neglected. That’s because I’m following my vocation, and a vocation is just a means to an end, not an end in itself. We all ought to have the same priority of pleasing God. But casting a fishy eye at other people’s choices almost never gets us there. The Catholic Company sent out an email today about the Miraculous Medal. The Front Side - On the front of the Miraculous Medal, Mary stands on a globe, representing the earth, with a crushed snake under her feet. This image represents Mary's role as "Queen of Heaven and Earth". The snake represents Satan, who was defeated by Mary's obedience to God. The rays coming from her hands symbolize the graces Mary gives to those who ask her. The year 1830 commemorates the year that the Blessed Mother appeared to St. Catherine Laboure. 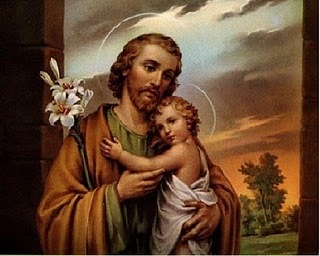 St. Joseph, you are the faithful protector and intercessor of all who love and venerate you. I have special confidence in you. You are powerful with God and will never abandon your faithful servants. I humbly invoke you and commend myself with all who are dear to me to your intercession. By the love you have for Jesus and Mary, do not abandon me during life and assist me at the hour of my death. Glorious St. Joseph, be my guide, my father, and my model through life that I may merit to die as you did in the arms of Jesus and Mary. Guardian of the Word Incarnate, I am confident that your prayers on my behalf will be graciously heard before the throne of God. In the past month, one friend and one acquaintance have had a baby with Down syndrome. Another acquaintance is struggling with a prenatal diagnosis of Down syndrome. All three are in great need of prayer and support as they face a vastly different future than the one that they dreamed of. In some ways, I think the prenatal diagnosis is the hardest to take. Before a child is born, you do not know them. You can and do love them, but it is hard to think of this "abstract" person - at least it was for me. To think of that child being different and the hard road that lies ahead is devastating. Sadly, many decide that they cannot face that future and choose abortion. Yet, when you can physically see that child and hold them, your love takes on a whole different aspect. It doesn't matter if they are different - they are your child, your responsibility, your joy. You may grieve for your lost dreams but you will do whatever needs to be done for them. You can't imagine life without them. On Cause of our Joy, Leticia Velasquez, the mother of a child with Down syndrome and a great advocate for these children, writes of the Perfect Storm that faces children with Down syndrome. All children are gifts from God and God doesn't make mistakes. Radiant is a Catholic Magazine for the fun, fashionable and devout woman. It features Catholic news and articles on issues affecting young women today - health, beauty, politics, love, style, and difficult life circumstances. Find out more and preview issues at Radiant Magazine. The May 2011 issue of Columbia Magazine features an article on 3 young men who gave up the lure of professional sports to enter religious life. From the Field to the Altar. God's call continues to come through loud and clear. I've always considered by children to be God's children first, at least from a philisophical standpoint. On the spur of a given moment, when I am tired and stressed and frustrated I may forget that fact. The truth remains, however, that they are simply on loan to me for a while. I am the caretaker of God's children. What an incredible responsibility that is! Jennifer Fulwiler takes on this same question and how it relates to the issue of abortion. I had never paid much attention to that question. I thought of saying that our children belong to God as nothing more than a nice little sentiment that you might cross-stitch on a pillow, one without much weight or importance. But the longer I think about the anti-life mentality that rages in our culture, the more I think it is largely rooted in a rejection of this concept. When something belongs to you, you are free to determine its fate. Masters had the power to make life and death decisions for their slaves, because they perceived that these people belonged to them. We have the authority to take the family dog down to the vet and have him euthanized because he belongs to us. There is a presumption that if something belongs to you—especially if you also created it—you can determine its value. And that idea is the common thread in all those quotes above, the insidious message at the core of the culture of death: The worth of a new human being is determined entirely by his or her parents. An unborn child is does not have dignity until her parents say she does. This process starts happening as soon as you take God out of the picture. Without God, couples perceive that they create new life entirely on their own. They think that they own their children—especially the unborn ones who don’t yet have voices. From there, it’s a short path down the road of temptation to value these new lives that you created according to whether or not they enhance your own life. If you find out that one of your creations has characteristics that would negatively impact you—the wrong gender, a disability, etc.—you feel like you have the authority to deem it less valuable, and maybe even altogether expendable. Read more of the article and related comments here: Do Our Children Belong to Us or to God? This is a Catholic News Service article on the Catholic Bloggers Meeting: Church needs blogs, bloggers need church, say meeting participants. 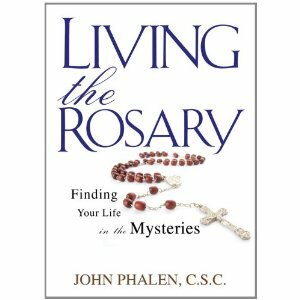 It is an important read for all Catholic bloggers. Requesting prayers for a dear friend who has been sent to the hospital tonight - she is expecting and it looks like they will need to take the baby a month early. Please pray for mother and baby. A mother's gift is to give life. But in the daily demands of feeding and forming, cleaning and cautioning, tending and teaching, her gift can get lost in the layers. She needs to remember that her work begins with herself. To be attentive to others, she must listen to her own heart. To care for others, she must take time for herself. To teach self-love to others, she must act lovingly towards her own body and her time. If she finds her own sparks, she will fan them in those around her. If she frees her own spirit, she will help others soar. If she focuses each moment by being wholly present, she will point the way to holiness and to God. And if she truly lives, she will give real life to the world, not only in her children's bodies, but in their souls. This post by my friend Dionna You Have to Decide You Are Worth It hit home for me. Like many women, I have struggled with my self-esteem for as long as I can remember. From a spiritual perspective, I struggle with balancing "God made me and loves me" with "I am a sinner and worthless." I struggle with pride and the need for humility which I once saw well-defined as not thinking one is better or worse than any one else. I am always comparing myself with other people (usually unfavorably). I doubt I will ever find a place of comfort with my self-image. True self-knowledge is to see oneself as God sees us. I wonder what God sees when He looks at me? Yet, we are called to care for ourselves - to treat our bodies as the temples of the Holy Spirit that they are. That in itself should inspire us to value the gifts God has given us and treat ourselves with kindness. Easter is a time to look forward. Too often the Christian story is told backwards, as if it were solely about God's rescue mission, God's parachute, bailing us out of the wreckage of our sin. Easter is the time to change the direction of our gaze and see the rescue mission for what it can become: an invitation to participate in the great adventure of becoming the people God is dreaming we can be and of transforming planet Earth into the seedbed of God's kingdom. Going to Mass on Mother's Day can be an intensely painful experience for those longing to have children and for whatever reason can not (I can recall vividly my own experience of crying my eyes out at Mass on Mother's Day in the days when I thought I would not be able to have a child). Venita Hampton Wright describes that feeling well and offers valuable insight in this article: Mother Without Child. Motherhood goes far beyond having a biological child.